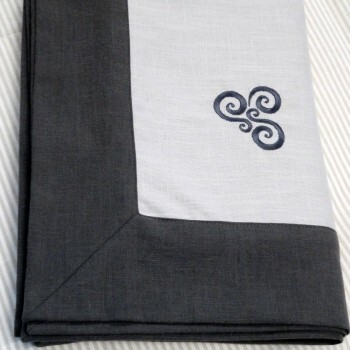 Material; 100% Linen with a jacquard weave and because the pattern is on both sides it can be reversed if you wish. 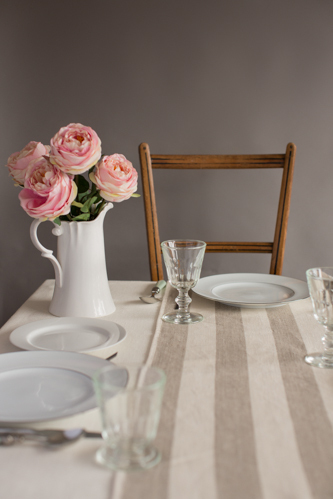 Linen will last several lifetimes if cared for and follow a few simple rules. 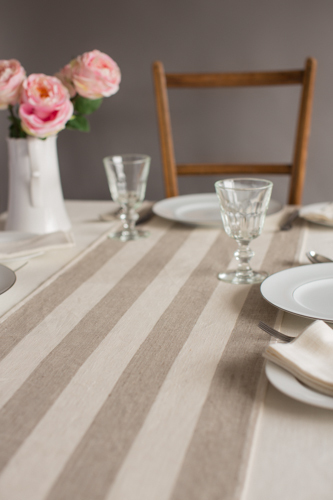 This is an unbleached linen so please do not use bleach or use detergent containing OABs (see care of linen) as they may affect the colour. 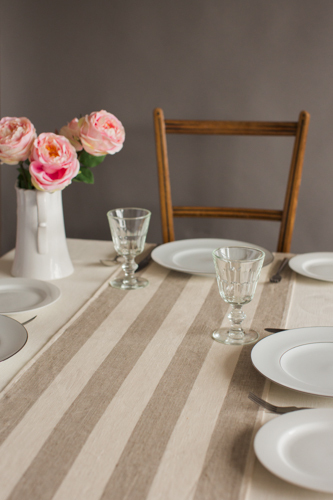 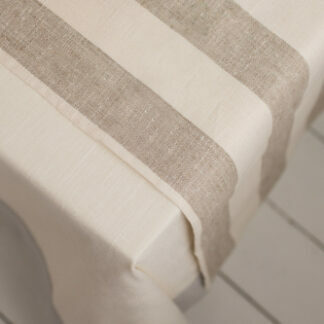 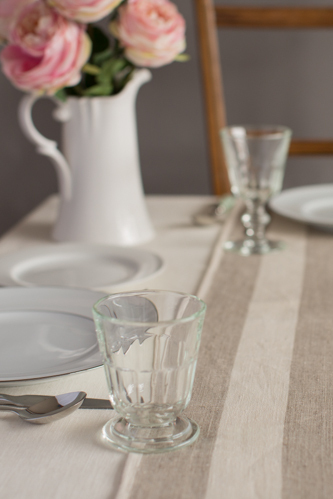 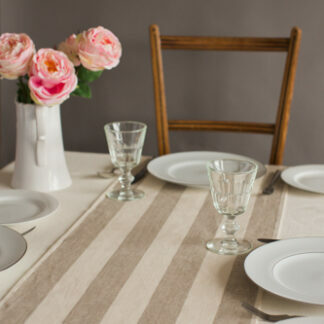 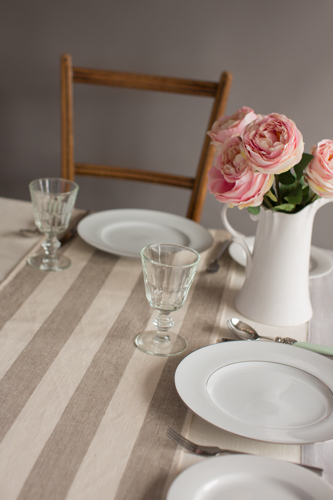 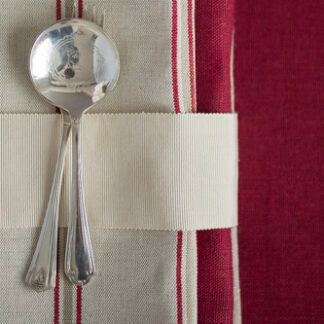 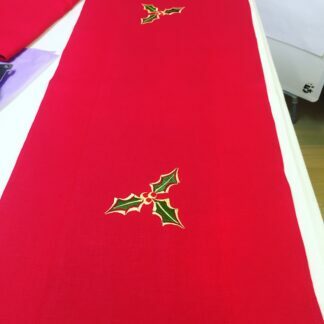 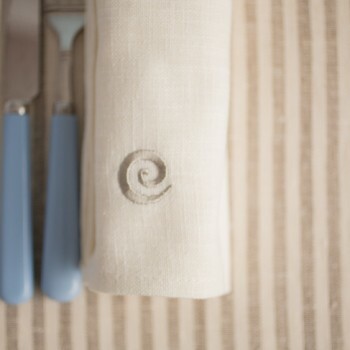 Bought the Classic Table Runner with napkins for myself and I love them as so do all my friends- expect lots of orders!